Knowing exactly why your site isn't performing well in Google can be challenging. Has it been given a Google penalty? Are there back end technical issues? Is it hard to navigate or potentially is is set to not even appear in Google's index? Before you go fixing things that may not even be broken, it's vitally important to pinpoint exactly why you're not ranking. 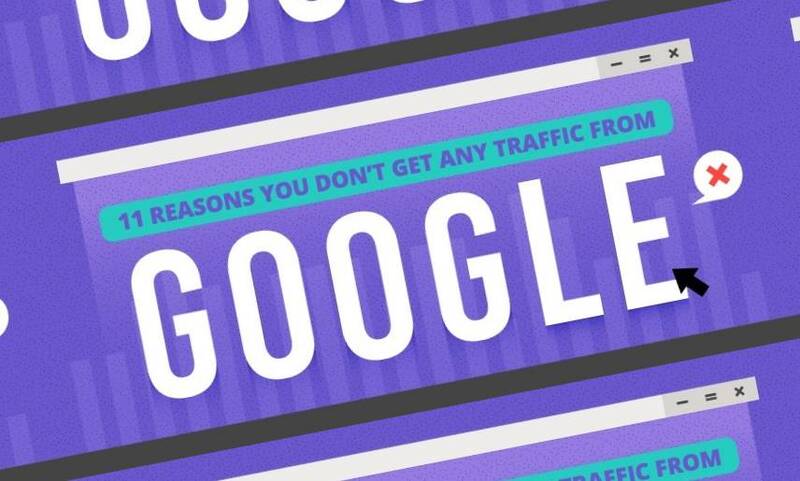 This infographic from Will Mullin shows some of the most common reasons a website may not be getting traffic from Google.